♂, Italian, male, husband, dad of a wonder, “cazzaro”, friendly, blogger, motorcyclist, geek, avid reader, sysadmin, ICT consultant, curious. I come in peace… I'm an active social networker since 1999. 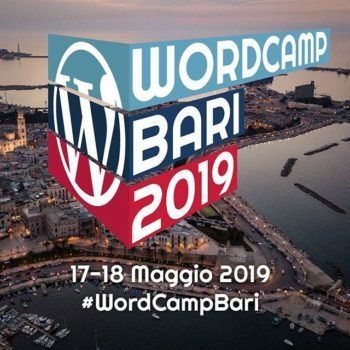 I've been using WordPress sice 2004 and WordPress.com since 2006, and I'm currently involved in WordPress and WooCommerce communities in Bari, Apulia. We are so zoomed into our consumers, observing them as if they are a new species from another planet, we fail to see the bigger picture. The culture, politics, philosophy, environment, TV shows, books, movies, art, fashion – the world at large. We will not understand what people need and want by simply observing them. We have to experience their world for ourselves. It’s only then we can change it. “Drinking piping hot tea or coffee could ‘double your risk of developing tumours in the oesophagus’,” reports the Mail Online. A study of more than 50,000 people in Iran showed that those who drank 700ml (about 2 to 3 mugs) of black tea a day at temperatures of 60C or above were almost twice as likely to go on to get oesophageal cancer during 10 years of follow-up in the study, compared with people who drank tea at lower temperatures. After 10 years one of the most successful operating systems made in Redmond has reached is reaching its End-Of-Life the 14th January 2020. Users still running Windows 7 on their PCs in those days are being prompted to do an upgrade (software and maybe even hardware) to their systems. Here at work we’ve migrated to Windows 10 some time ago, and apart two machines, used for specific purposes only we do not have any Windows 7 installation running. I do hope you’ve done the same, or better have migrated to other systems (Ubuntu, Fedora, Manjaro or — well, you know I’m a  guy! — to a Mac). If you haven’t I do strongly suggest to take an action, since in this iper-connected world it’s vital to have upgraded systems exposed ‘to the web’. A couple of friends told me that up to this date the free (as in beer) upgrade from previous systems to Windows 10 is still working, even if officially it has stopped a couple of years ago. Just download the Media Creation Tool directly from Microsoft, create a bootable USB pen and proceed with the upgrade.